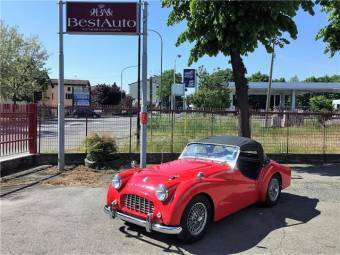 Raro modello di TR4A ordinato con il ponte rigido fisso. 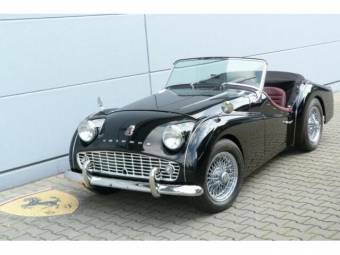 Triumph was a British automobile manufacturer that was founded by the German entrepreneur Siegfried Bettman in 1886 in Coventry. Bettmann opted for the trade name "Triumph" as this was understood well in the major languages. 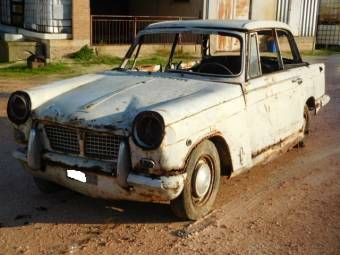 In 1923 the first Triumph automobile was presented. 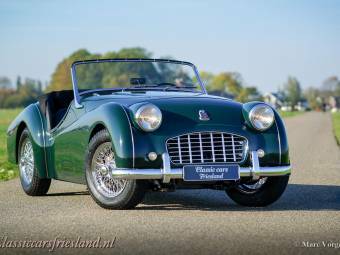 It was the Triumph 10/20 with a 1393 cc engine. 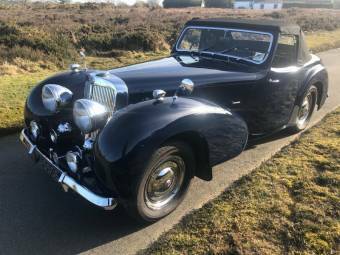 In the following year, Triumph succeeded at the Olympia Motor Show – being the first British manufacturer, Triumph upgraded its new model, the 13/35, on all four wheels with hydraulic brakes. At a number of racing events Triumph could make itself a good name and would convince the audience with powerful engines and good drivers. 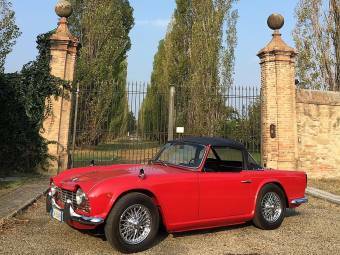 Despite the successes on the sporting level, the make was constantly in the red, because it focused on selling the expensive Triumph Gloria during the world economic crisis instead of selling profit-making compact cars, as Triumph did before. 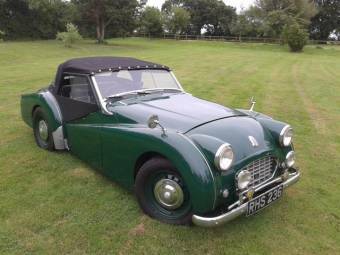 In 1939 Triumph went bankrupt with a debt of 160,000 pounds sterling and consequently was sold. 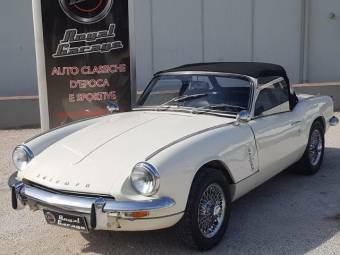 From 1953 to 1984 automobiles were sold under the name Triumph again, during that time the company never was independently but always part of major corporations. 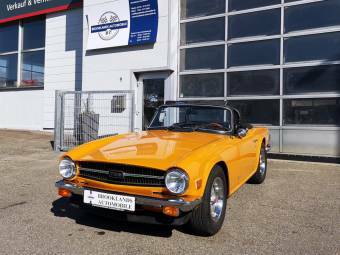 The Triumph TR6 that was built between 1968 and 1976 proved to be one of the best sold models thanks to its excellent price-performance ratio and overall was sold more than 94,600 times. 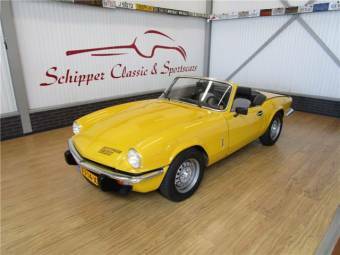 In 1968 the Triumph TR6 was introduced, its body design originated from the coachbuilder Karman of Osnabrück. 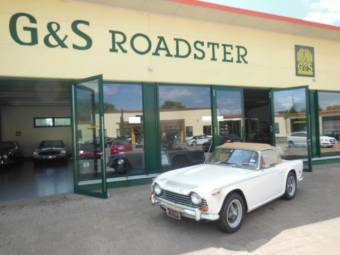 Alongside its successor the TR7, the TR6 was the numerically best sold car in the company's history. 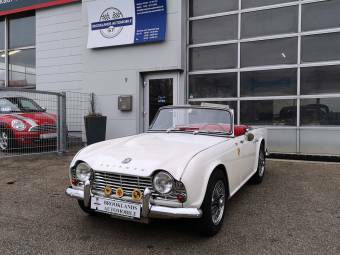 The European version of the TR6 has a 6-cylinder engine with 2.5 litre displacement, four-speed transmission and 143 hp. 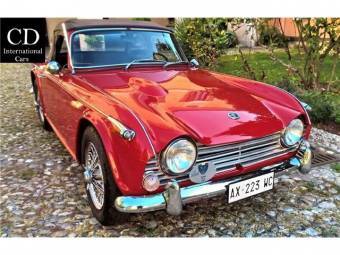 In the U.S., due to the emission regulations the TR6 was sold with a dual carburettor, the engine achieved 89 to 106 hp. A off 1973 this engine was obstructed with the European versions of the TR6. 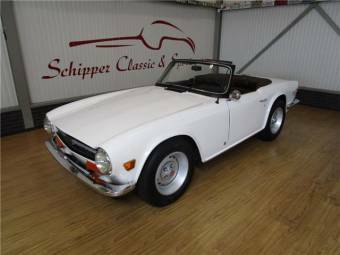 Buyers could opt for a hardtop car, with which the TR6 could be converted into a Grand Touring coupe. Triumph never had a continuous, formative brand logo that is clearly associated with the make. 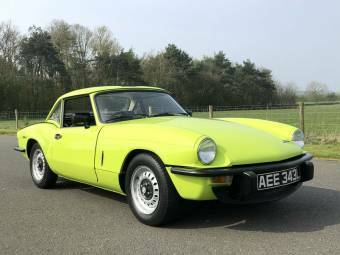 A well-known logo, which is used on the TR7 and TR8, is a laurel wreath shared by the word "Triumph".